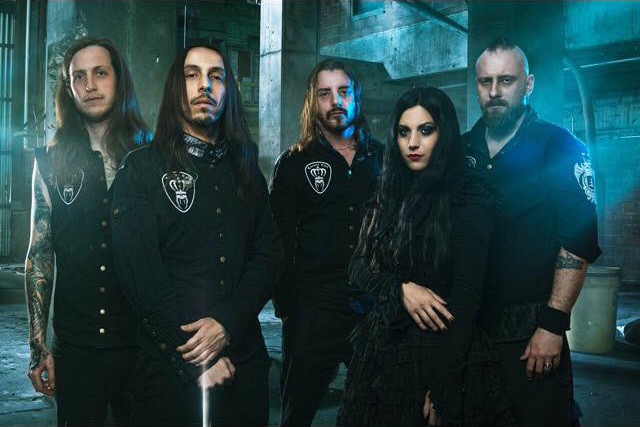 Lacuna Coil have announced today that they are special guest stars on the Red Bull Tourbus for the “Celeb Car Crash”. 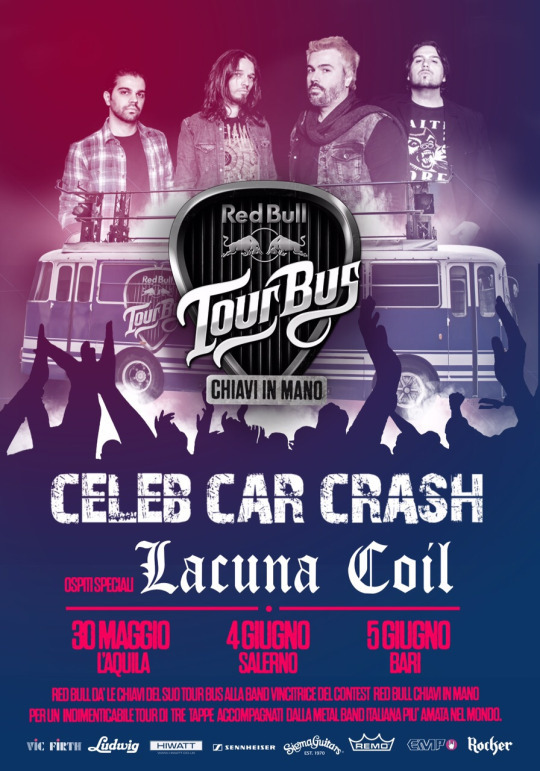 Starting on Saturday, May 30th, from Piazza Duomo, in l’Aquila, the “ Red Bull Tourbus“, is a sleeping bus from the 60’s equipped with a live stage. 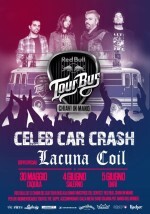 Starting at 22.30, the live performance from ”Celeb Car Crash“ (the winners of the most important contest for emerging groups in Italy “Red Bull Tourbus Chiavi in Mano”)/ After the capital of Abruzzo , the “Red Bull Tour Bus” will visit Salerno on Thursday, June 4th (starting at 21.00 in Piazza del Sapere) and Friday, June 5th, at the Festival Suburbano di Bari ( Bari University Campus – via Orabona). 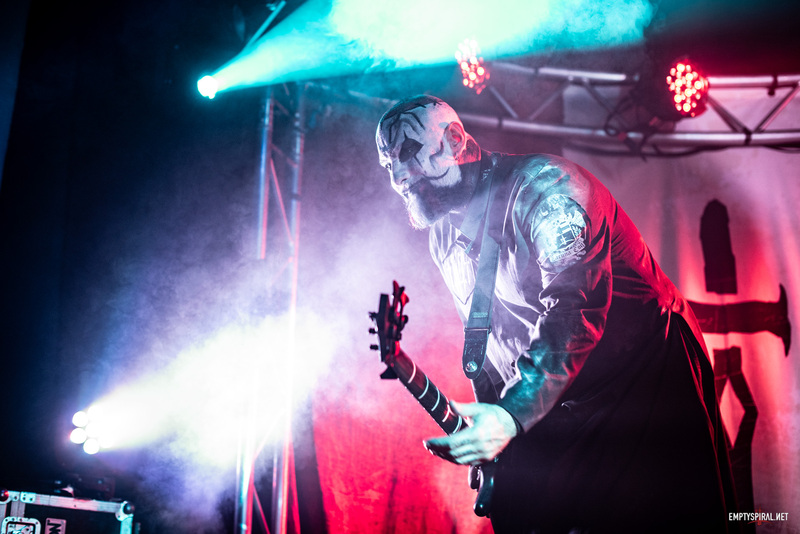 You can see a full list of shows in our Tours section.